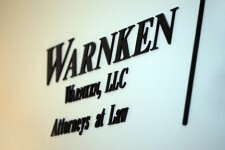 Warnken, LLC was founded in 1992, by husband and wife attorney team Bonnie L. Warnken and Professor Byron L. Warnken. Bonnie handled personal injury and medical malpractice cases while Byron handled appeals. Son Byron B. Warnken purchased the firm on January 1, 2015 to continue focusing on litigating on behalf of the injured and on behalf of law enforcement. Historically, Warnken, LLC attorneys working with the Professor have always been selected based on written and oral advocacy skills, uncompromising work ethic, dedication to human compassion, and positive attitude. Those traits have carried through to Warnken lawyers today. In representing law enforcement officers, we found they needed us to handle injury cases for them with a certain regularity. In the beginning, most often this was workers’ compensation. We went from having a few comp files open at a time and one comp lawyer handling it part-time, to more than 300 with three workers’ compensation lawyers today. Workers’ compensation is a big part of what we do. In addition to workers’ compensation, we handle personal injury cases, car accidents, wrongful death, victims of violence, medical malpractice, and other injuries. Read more about the Baltimore personal injury lawyers practice. No matter what kind of matter you have, for you, the case is vitally important. It may be your life. It may represent the chance to be compensated for a wrong done to you or your family. Whatever your case means to you – big or small – we value its importance. We know your lawyer is who you need to guide you through the process. We value that trust and do everything in our power to get you the best result. Keeping with the varied history of Warnken, LLC, in addition to handling other litigation, the Firm represents the 2600 members of the Maryland Troopers Association, and has for nearly 20 years. This representation includes disciplinary proceedings, grievances, shootings and other needs. We take great pride in representing the Troopers. Our expertise has also resulted in representation of personnel in more than 35 agencies across the country. See more about the law enforcement practice. Please feel free to call us directly at 443-921-1100 or contact us here.